Psychiatry is constantly evolving and one of the truly exciting aspects of being a practitioner is following new developments and research, particularly in the realm of depression and related disorders. Major Depressive Disorders (MDDs) have been identified as the second leading cause of disabilities by the World Health Organization. In other words, it is urgent that research continues (and continues to get funded) for new and emerging treatment options to solve this crisis. One rapidly developing treatment I’d like to highlight today is dTMS, a modality falling under the “Transcranial Magnetic Stimulation (TMS) rubric. Used for treating Major Depressive Disorders (MDDs,) bipolar disorder, and other conditions, dTMS (the “d” standing for “deep”) works through electromagnetic induction to stimulate regions of the brain. Research has proven its efficacy in treating depression and other mental health disorders, and when appropriate, I can refer patients to a qualified and certified physician with a dTMS practice. 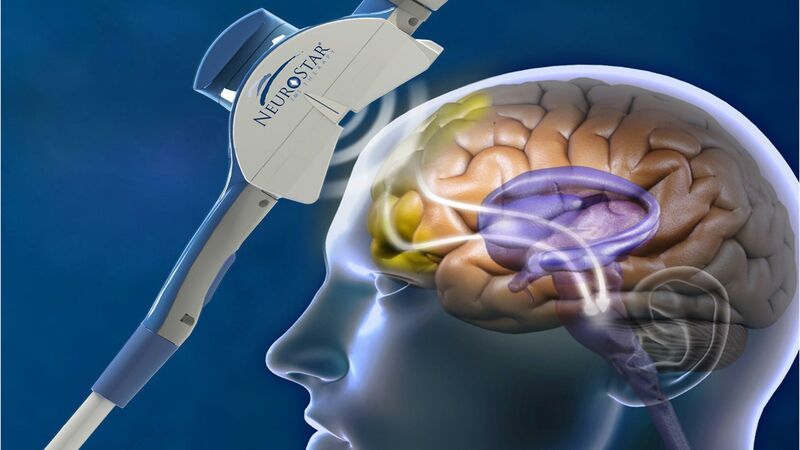 Think of the TMS family as non-invasive therapy that stimulates and rewires the brain to get it functioning in a more relaxed and productive way. And it is not an invasive therapy like DBS or hampered by side effects and a bad reputation like ECT. And even though rTMS is good, according to research dTMS has the potential for impacting more areas of the brain with greater accuracy. I recently discussed dTMS’s cousin, rTMS, which is also a non-invasive procedure and works similarly to dTMS. rTMS can be an effective treatment for depression, but stimulates brain cells in regions just below the skull. The magnetic impulses provided by dTMS can target deeper regions of the brain and consequently can target neurons that less penetrative forms of TMS cannot access. As a relatively new form of therapy, dTMS has achieved clinical success noted by a growing body of research. dTMS is administered through a coil called an H1 that is designed to target deeper regions of the brain. Ongoing research is still trying to determine whether in fact the results from dTMS are significantly better than those for standard rTMS treatment. Magnetic Impulses delivered from the H1 at a frequency of less than 5 Hz are thought to decrease neural excitability, while impulses in the 10-20Hz range are thought to increase it. In a control group study from the Journal of Visualized Experiments (October, 2016) there was a significant positive impact on depression. Tendler, et. al. published a survey study in the journal Expert Review of Medical Devices (September, 2016) that looked at a compliation of research on the H1 coils and concluded that dTMS represents a non-invasive way to manipulate pathological activity in brain structures and circuits. Lapinesi et. al. (February, 2015) studied the effect of dTMS on patients with bipolar and depressive disorders and also confirmed that dTMS has a positive effect on depressive symptoms. Overall, dTMS appears to have major helping potential, but its major impediment is that it requires frequent and expensive visits performed daily over a period of weeks. As always, I would be delighted to discuss this and other treatment options if you or a loved one is struggling with a mental health disorder.